Home » Just another day in Japan » Numbers Lie! This morning on my train to school I used my favorite algorithm for predicting whether I’d be sorry I didn’t go back to get my umbrella: I counted the number of Japanese people carrying theirs. Today it was about 30%, so I smugly figured there was a 70% chance I’d return home before looking like a drowned cat. Oh how wrong I was. 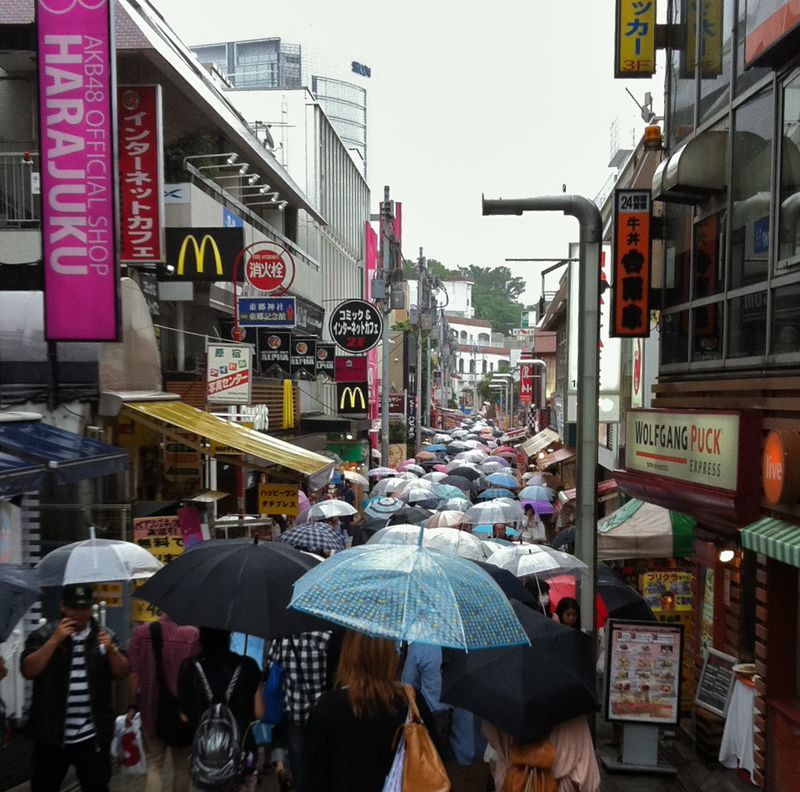 But how come only 30% of Japanese people were carrying umbrellas this morning, but 100% had them handy when it started to pour??? For sure, a few of them had to spend ¥500 at a convenience store to buy one of those “judge me because I didn’t check the weather report” variety, but more than 30% had “real” ones. Where did they come from? Sitting on the train in my damp sweater, I watched the woman across from me meticulously refold her collapsible model and realized: they all carry Stealth Umbrellas. Here in Japan, there are some that fold up to about the size of a hot dog, so you can carry them in your purse or briefcase. 30% of people I passed this morning had the big normal kind, but 70% were apparently carrying concealed weapons of mass dryness.